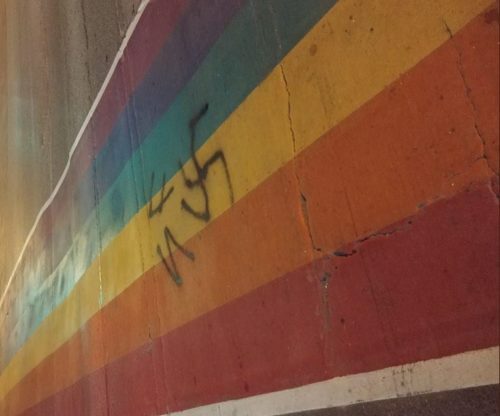 Police are looking for two people who painted swastikas on a rainbow crosswalk. Investigators believe that the crosswalk in Toronto’s Gay Village was defaced this past Thursday. While they believe there were witnesses present for the act that occurred “right in the open,” the vandals “deliberately” concealed their identity and police have not been able to identify them. By Friday, the local neighborhood association had already cleaned the graffiti. Toronto police are asking that anyone with information about the vandalism call 416-808-5184.